We are now a third of the way though Launchpad and there seem to be no signs of the energy slowing down! Every week the participants began by presenting their week’s research and discoveries before opening the floor for questions, feedback and ideas. As the morning progressed, the discussion revolved around founder’s relationships, vesting, an introduction to testing and landing pages. 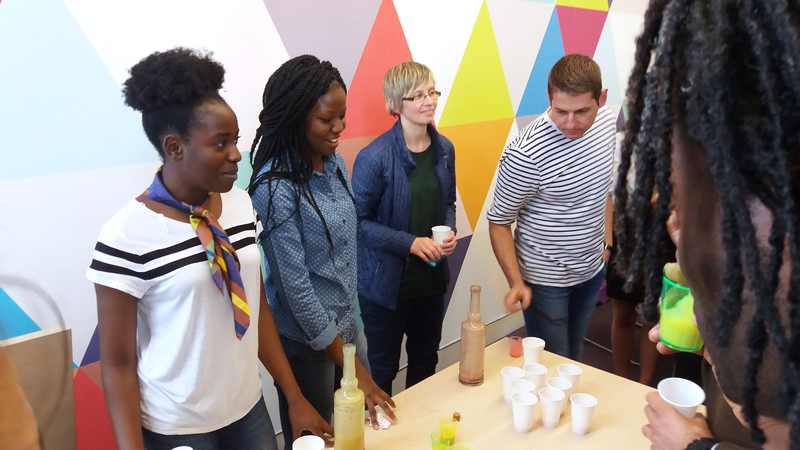 Plus participants Haddy and Isatou brought in taste-testers of their product, African Drinks: all natural smoothies made with a base of baobab! With afternoon smoothies and great conversations, the final session of the day continued on a high note as the participants began to produce their landing pages. These pages give their projects a base with which to do some customer testing. We’re excited to take a look at the pages next week when we’ll see a demo from each team! Good luck to the Launchpad participants as you continue researching and testing; also, thank you to African Drinks for allowing us to sample your delicious smoothies!